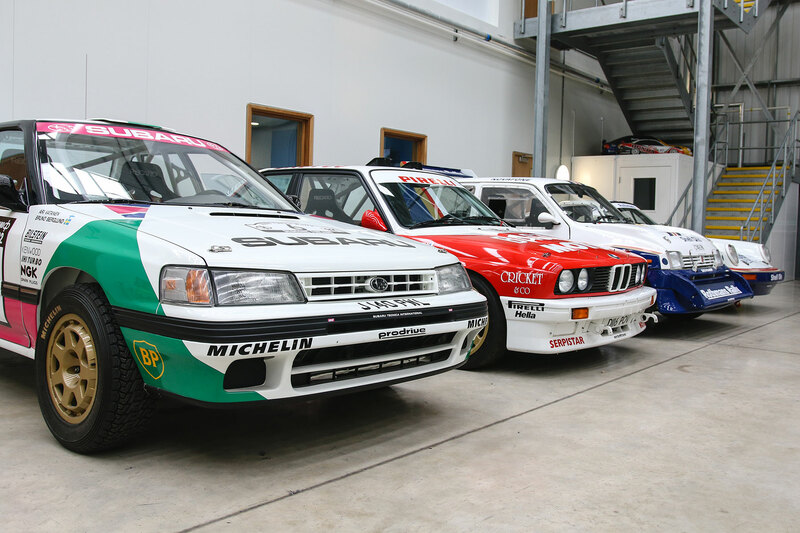 Prodrive has been building successful competition cars since 1984. 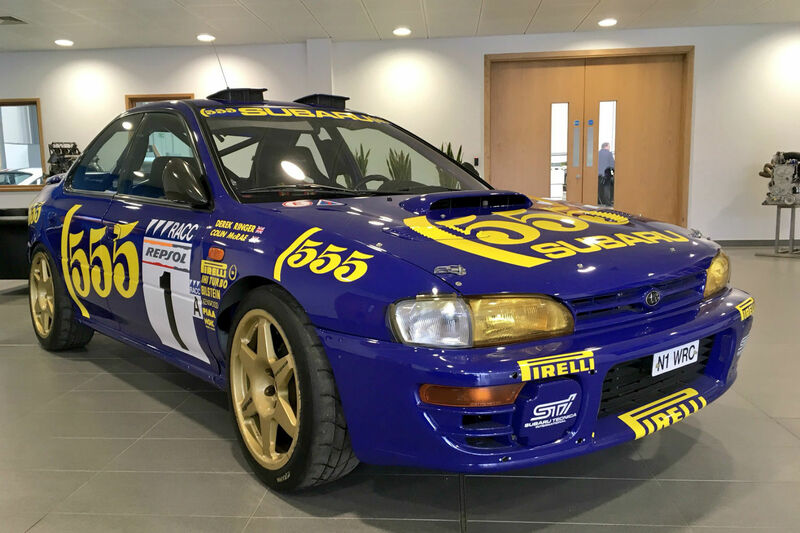 The Banbury-based company is best known for its 19-year association with Subaru, which included three manufacturer titles in World Rallying. 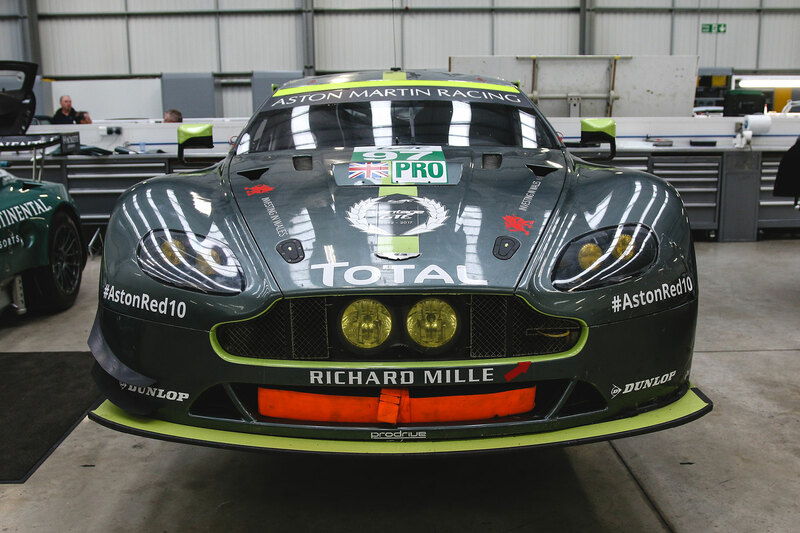 It’s now the official partner of Aston Martin Racing, competing in the World Endurance Championship with the Vantage GTE. 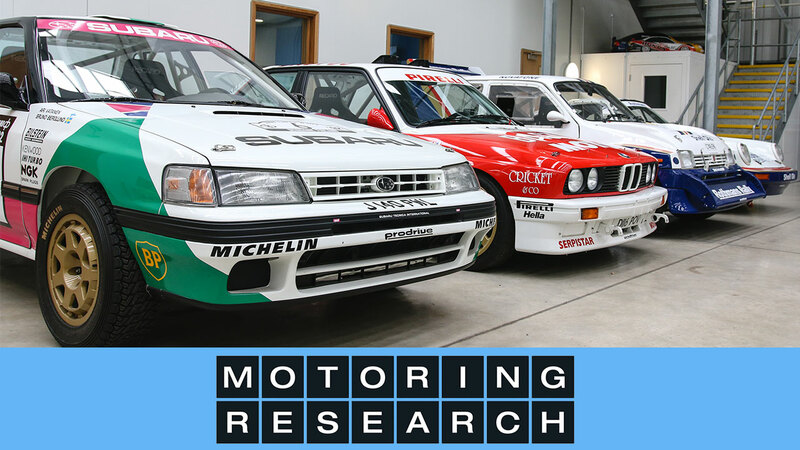 We paid a visit to Prodrive HQ to see its fantastic collection of classic race and rally cars. From the original Prodrive Porsche to a pair of Le Mans-winning Astons, join us for a guided tour. Pride of place in reception goes to Colin McRae’s former company car. ‘N1 WRC’ took victory in the 1996 Catalunya Rally, sealing the manufacturers’ championship for Subaru that year. 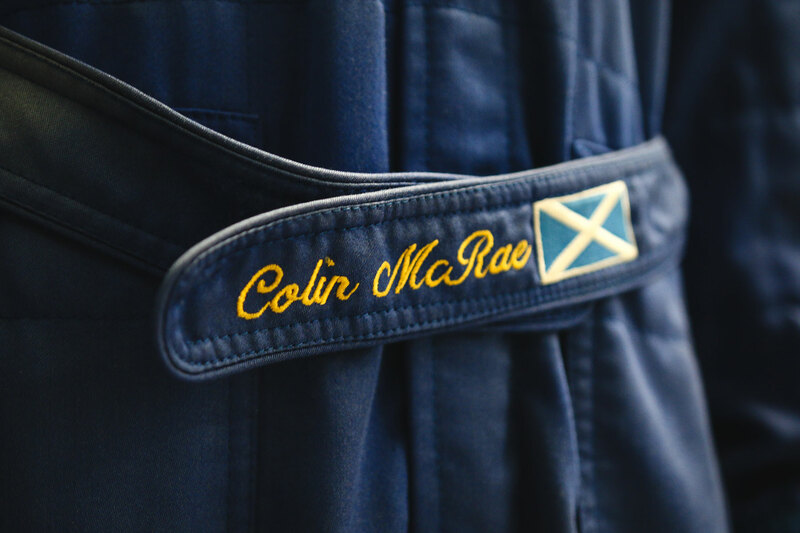 McRae went on to finish second in the drivers’ championship, behind arch-rival Tommi Mäkinen. 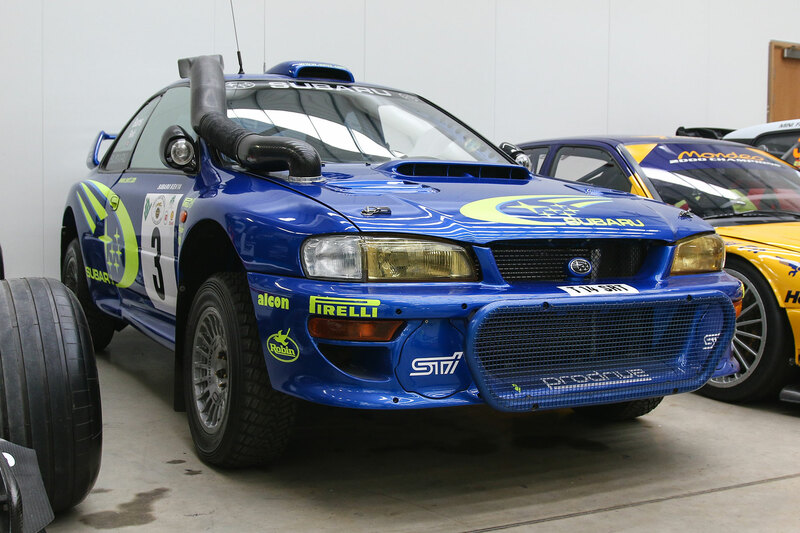 In classic blue and yellow livery, the Group A Impreza is one of the most iconic rally cars ever. Subaru continued to use the colours even after its sponsorship deal with 555 – a Japanese cigarette brand – had ended. 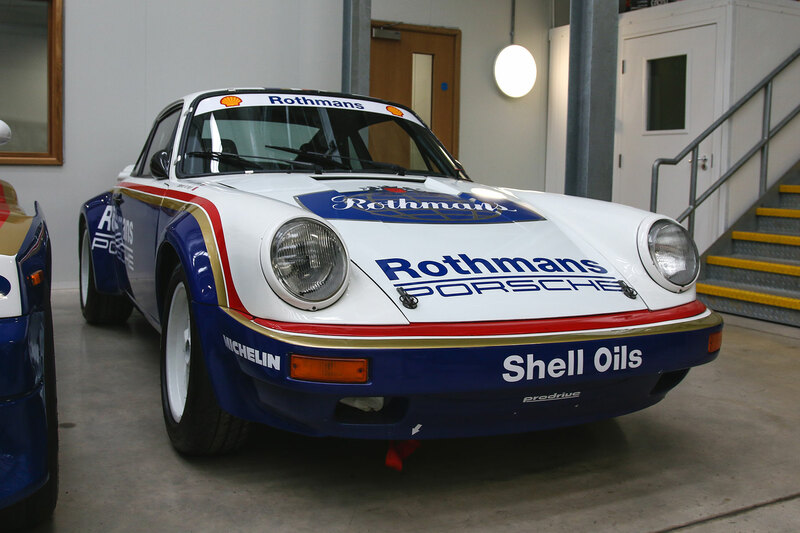 Here’s where it all started for Prodrive: the Porsche 911 SC RS. Driven by Al Hajri, it won its first ever event, the 1984 Qatar Rally, then claimed the overall Middle East Rally Championship. 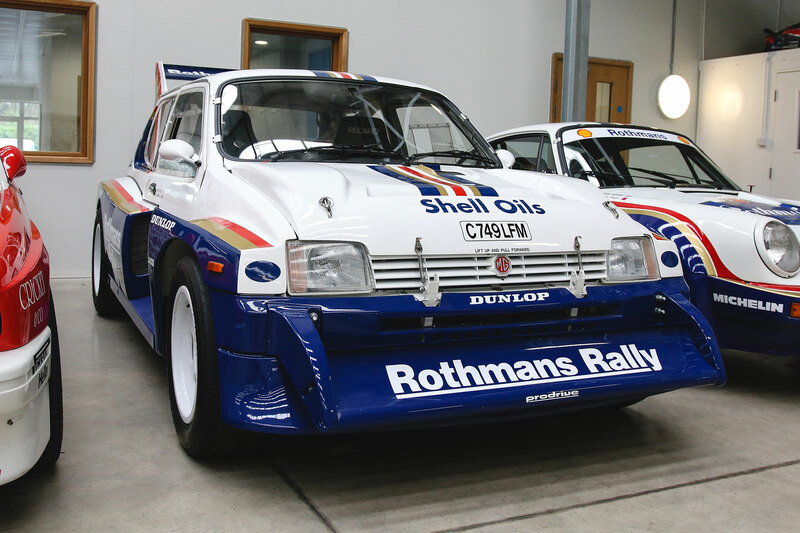 In 1985, Billy Coleman piloted the Porsche to victory in the Irish Rally Championship, before trading it in for a Prodrive-fettled MG Metro 6R4 (see below). With its boxy bodykit and snowplough spoiler, the 6R4 looks like an escapee from the Barry Boys website. However, behind that steroid-pumped styling lurks a serious competition car, with a rear-mounted six-cylinder engine and four-wheel drive. The Metro competed in the mid-1980s Group B class, which was outlawed after a series of high-profile accidents. Other famous – and much-loved – Group B racers include the Audi Quattro, Ford RS200, Lancia 037 and Peugeot 205 T16. 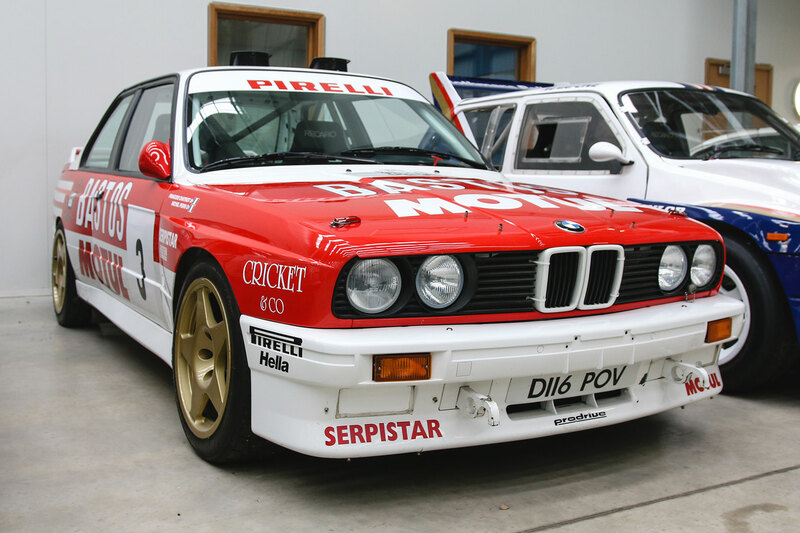 The original (E30) BMW M3 was a capable tarmac rally machine. This particular car won four rounds of the 1990 French Rally Championship in the hands of Francois Chatriot. 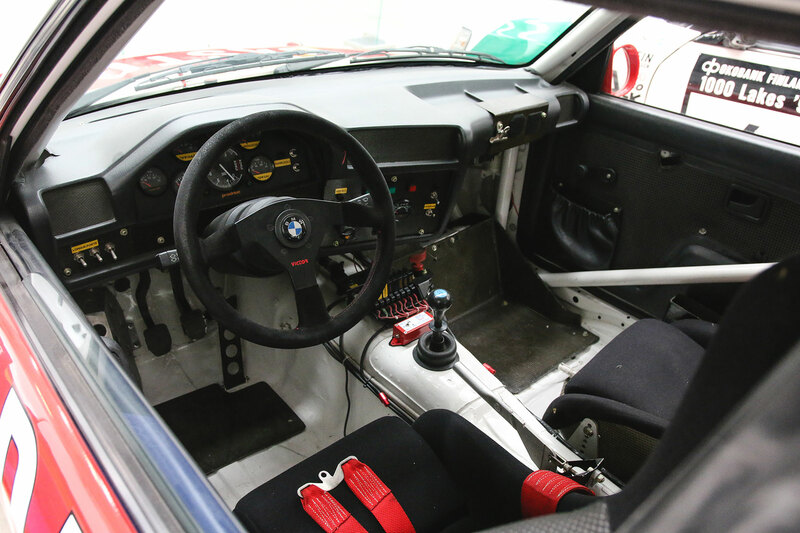 At the same time, Prodrive ran BMW’s British Touring Car Championship team – taking the M3 to three consecutive BTCC titles in 1988, 1989 and 1990. 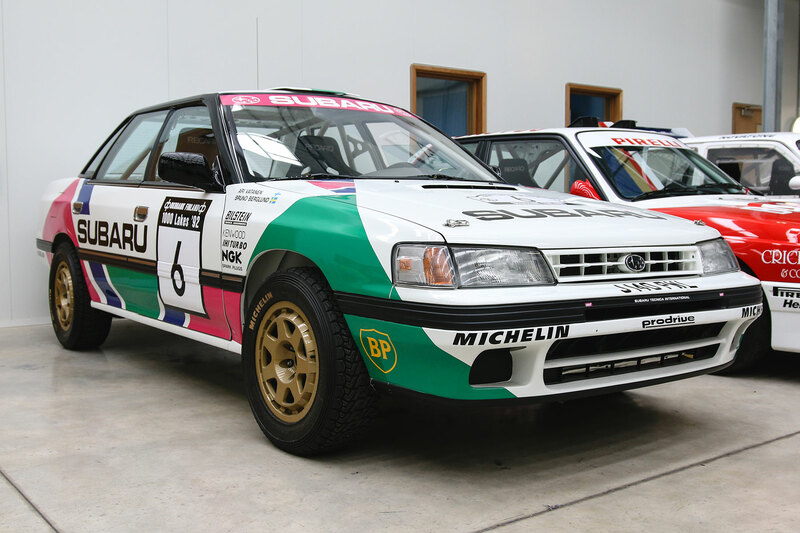 The fruitful and long-running partnership between Prodrive and Subaru began in 1990 with the Legacy RS. Note its distinctive white, green, pink and blue livery – used until the introduction of 555 sponsorship in 1993. Both Colin McRae and Richard Burns drove this car in the British Rally Championship. McRae and the Legacy also took victory in the first ever round of the World Rally Championship, the 1993 Rally of New Zealand. While Tony Blair was busy courting Mondeo Man, Ford’s family-favourite was conquering all-comers in the British Touring Car Championship. 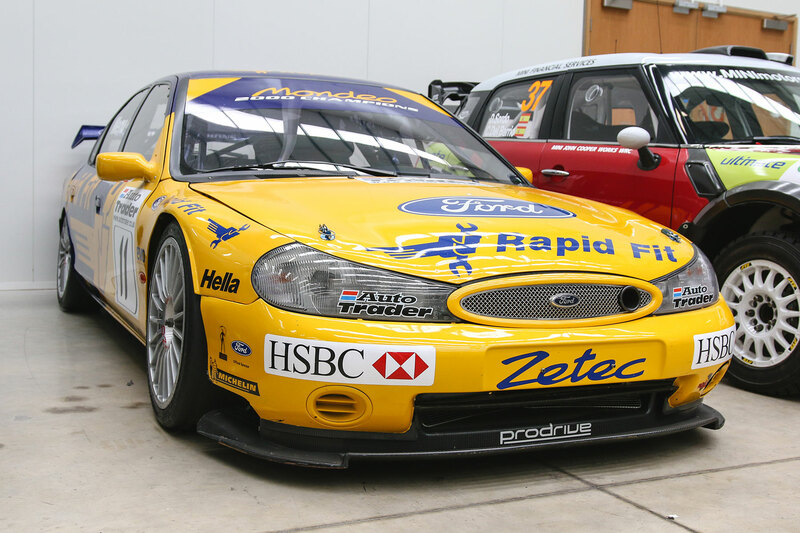 This Mondeo Super Tourer took the overall BTCC title in 2000, winning 11 out of 24 races. For Touring Car fans, the Prodrive Mondeo is a poignant sight. The 2000 season marked the end of BTCC’s golden era, as new BTC Touring regulations introduced for 2001 saw manufacturer and spectator interest wane. Four years after McRae’s Catalunya clincher in the Type A, Richard Burns drove this Impreza WRC99 to victory in Kenya’s Safari Rally. Note the raised ride-height, knobbly tyres, stone guards and engine air-intake snorkel – all essential for tackling tough African terrain. Richard Burns would win the World Rally Championship for Subaru in 2001. He tragically died from a brain tumour in 2005, aged just 34. 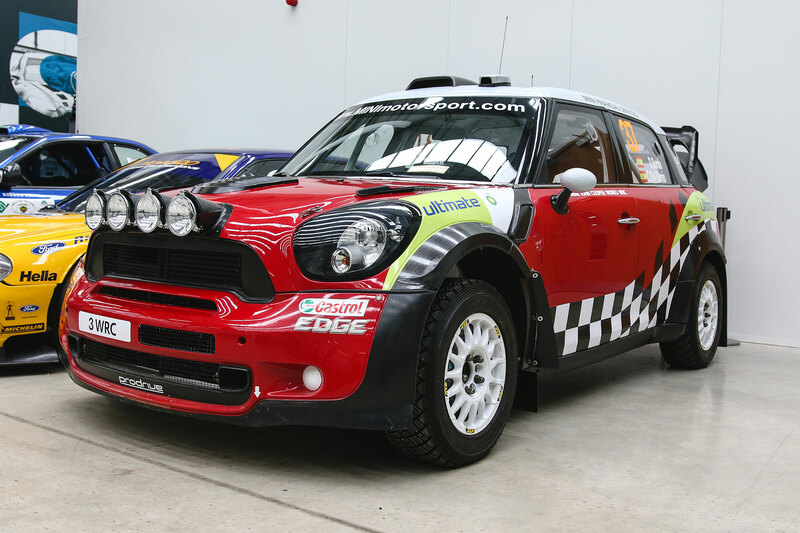 Prodrive took charge of the Mini team for the 2011 World Rally Championship. 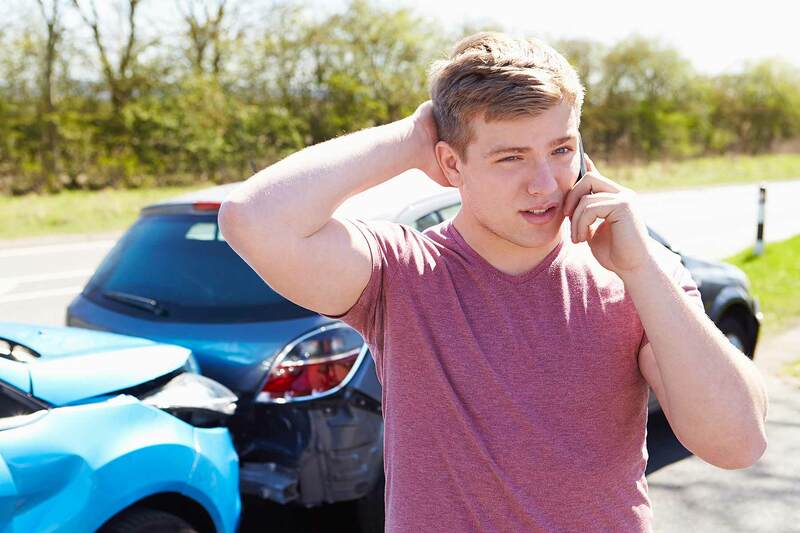 Interestingly, the car chosen was the five-door Mini Countryman, rather than the three-door Hatch. Its 1.6-litre turbocharged engine is modified for improved power and durability. Here’s something you don’t see every day: two former Le Mans winners separated by a decade and parked side-by-side. On the left is the 2007 Aston Martin DBR9 and on the right, the 2017 Vantage GTE. 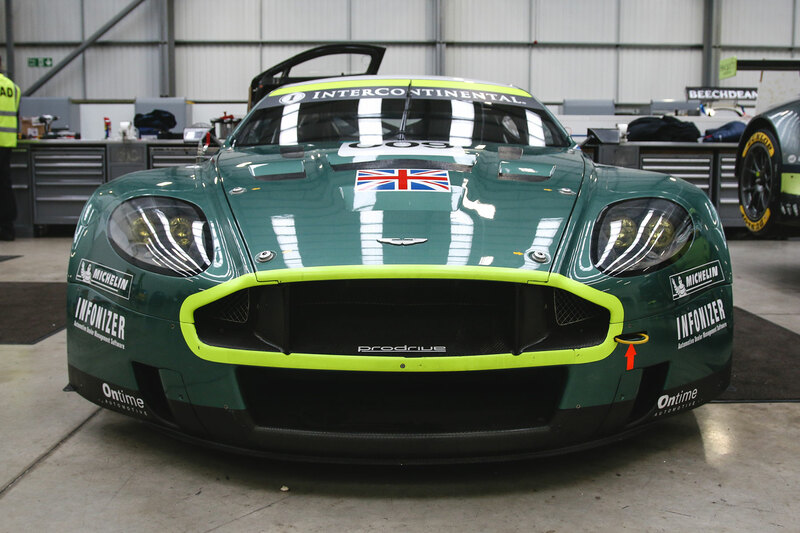 Elsewhere in the workshop, technicians were tinkering with the latest 2018 Vantage GTE – a likely front-runner in the World Endurance Championship.